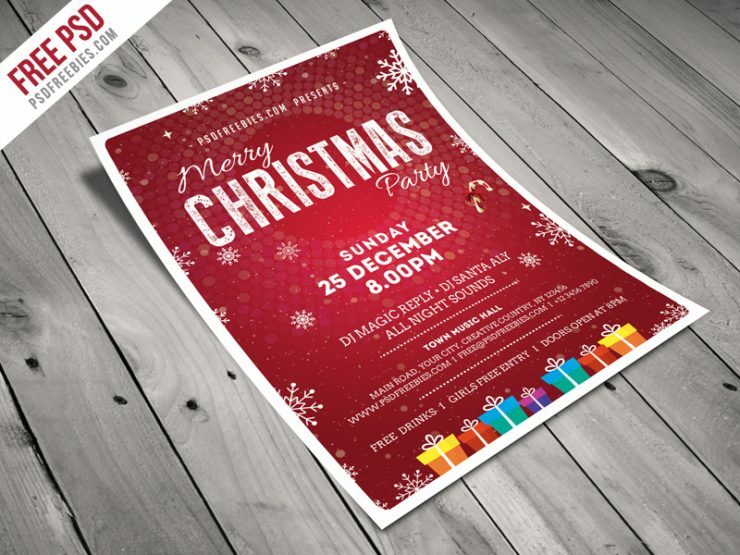 Download Christmas Party Flyer Template Free PSD.This Beautiful & minimal Christmas flyer template for your Christmas event, party invitation, or any Christmas advertisement needs. This PSD Flyer is Easy to modify, like changing colors, dimensions, etc and all text is editable. All elements shown are included in the PSD. The PSD file is setup at A4 Size, CMYK, 300DPI and Very Well Organized.